Because of ongoing inclement weather in the Louisville area, the schedule for the 2017 ACC Baseball Championship has been significantly altered. The Virginia baseball team will open play in the 2017 ACC Baseball Championship at Thursday (May 25) against Duke. The No. 8 UVA baseball team downed Virginia Tech, 4-1, Saturday to complete a three-game series sweep at Davenport Field. The No. 8 UVA baseball team rallied from a three-run deficit in the eighth inning to top Virginia Tech, 7-6, Friday afternoon at Davenport Field. The No. 8 UVA baseball team rolled to an 8-3 win over Virginia Tech Thursday evening at Davenport Field as part of the Commonwealth Clash presented by Virginia529. 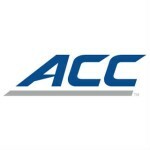 ACC Baseball Breakdown: UVA baseball in line to host regional? The UVA baseball team is ranked as high as eighth in the myriad college baseball national polls this week. The No. 12 UVA baseball team’s eight-game win streak came to a halt Sunday afternoon with a 5-4 loss to No. 19 Georgia Tech. Three weeks ago, the UVA baseball team seemed to be on life support, at 20-14 and on the heels of losing a weekend series at Boston College. Top-ranked Miami broke a scoreless deadlock with three sixth-inning runs en route to a 9-2 win over the UVA baseball team Saturday night. #22 UVA scored five in the first Friday night at #1 Miami, but the Cavs had to hold off a ‘Canes rally in the ninth to win, 6-5. The UVA baseball team travels to top-ranked Miami Friday through Sunday for a three-game ACC series at Alex Rodriguez Park in Coral Gables, Fla.
UVA catcher Matt Thaiss (Jr., Jackson, N.J.) has been named the ACC Player of the Week, announced Monday by the league office. Connor Jones (Jr., Chesapeake, Va.) tossed a one-hit shutout to lift the UVA baseball team to 3-0 triumph over Boston College Friday. The #22 UVA baseball team ventures to Boston College Friday through Sunday for a three-game ACC series at Eddie Pellagrini Diamond. The No. 9 Virginia baseball team (17-7, 5-3 ACC) fell to No. 7 Louisville, 11-4, Saturday Jim Patterson Stadium in Louisville, Ky. The No. 9 Virginia baseball team (17-6, 5-2 ACC) used a pair of three-run home runs to defeat No. 7 Louisville, 6-3, Friday. The No. 9 Virginia baseball team makes its first-ever trip to Louisville this weekend as it takes on the No. 8 Cardinals. The No. 10 Virginia baseball team held on to defeat Duke, 7-6, Saturday afternoon (March 12) at the Durham Bulls Athletic Park in Durham, N.C. The Virginia baseball team opens ACC play Friday through Sunday (March 11-13) when it travels to Duke for a three-game series at Durham Bulls Athletic Park in Durham, N.C. The Virginia baseball team was voted second in the Atlantic Coast Conference’s Coastal Division in the 2016 ACC Preseason Coaches Poll. It couldn’t get worse for UVA baseball than the seven-run eighth that gave Miami a win on Wednesday. Except that it did get worse. Miami scored seven runs in the eighth inning to rally from a three-run deficit and top the UVA baseball team, 9-5, Wednesday afternoon in pool play at the ACC Baseball Championship at Durham Bulls Athletic Park in Durham, N.C.
Josh Sborz didn’t allow a Georgia Tech baserunner until the seventh, and the UVA offense erupted in the middle innings, allowing the Cavs to pull away for an 11-0 victory in the opening game of the 2015 ACC Baseball Championship. 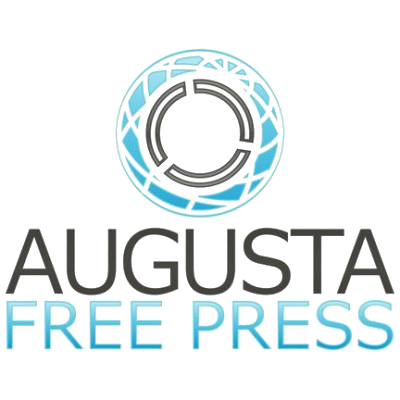 The UVA baseball team opens postseason play at 11 a.m. Tuesday when it faces Georgia Tech is a play-in game at the 2015 ACC Baseball Championship at Durham Bulls Athletic Park in Durham, N.C. The Virginia baseball team opens postseason play at 11 a.m. Tuesday (May 19) when it takes on Georgia Tech in the first play-in game of the 2015 ACC Baseball Championship at Durham Bulls Athletic Park in Durham, N.C. The Virginia baseball team finished off a three-game series sweep with an 8-2 victory at North Carolina Saturday afternoon at Boshamer Stadium in Chapel Hill, N.C. It was a distinct possibility that the UVA baseball season could come to an end in Chapel Hill this weekend. After Virginia’s 8-2 win on Saturday completed a three-game sweep of UNC, the Cavs are no longer thinking about just getting an NCAA Tournament invite. 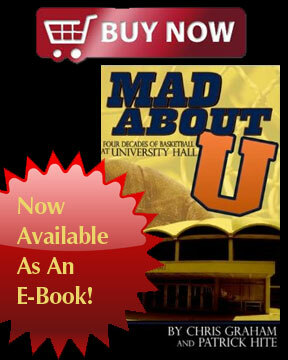 And just like that: Is UVA baseball about to punch its NCAA Tournament ticket? Two wins in Chapel Hill have a UVA baseball team that has been on the brink of a postseason-less 2015 on a different brink now. What was the lowest point of Tuesday’s home UVA baseball finale? When starting pitcher Jack Roberts was on his way to the dugout after getting just two outs in the first, after having given up three runs on four hits and a wakl? Or when Alec Bettinger came into the game in the top of the eighth, the game tied at 6, with runners on the corners, no one out? The UVA baseball team caps its 2015 home schedule at 6 p.m. Tuesday when it plays Richmond at Davenport Field. It also marks the Cavaliers’ final non-conference game of the regular season. The UVA baseball team earned a series win over Duke with a 4-2 win Sunday afternoon in front of 4,118 fans on Senior Day at Davenport Field. The win moves Virginia into 10th place in the conference, a half-game ahead of idle Wake Forest, with one weekend to go in ACC play. The top 10 teams in the conference qualify for this month’s ACC Tournament in Durham. 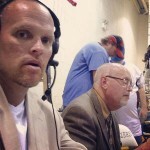 Augusta Free Press editor Chris Graham talks sports with host Jim Bresnahan on WREL-1450 in Lexington, Va. The segment includes a look back at last week’s Fight of the Century between Floyd Mayweather and Manny Pacquiao and looks ahead at what may be in the future for both fighters. Then the focus shifts to ACC baseball as college baseball winds toward the postseason. The 2015 NFL Draft wraps us up. It was announced Monday that UVA will not be making up two early-season games that were lost to bad weather. NC State won on a pair of walk-off home runs to sweep a Sunday doubleheader with the UVA baseball team at Doak Field at Dail Park in Raleigh, N.C. 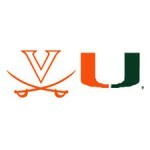 The UVA baseball team travels to NC State this weekend for a three-game ACC series at Doak Field at Dail Park. The teams will play at 6:30 p.m. Friday and Saturday and conclude the series at 1 p.m. Sunday. Bad luck or no luck: Is UVA baseball on the outside looking in for NCAA, even ACC invites? UVA baseball entered 2015 with the highest of expectations. Preseason #1 in some polls, consensus top three across the board, coming off the deepest of runs in Omaha, it was College World Series-or-Bust for the Cavs, who brought back their top three starting pitchers from 2014 at the top of an embarrassingly deep pitching staff. Augusta Free Press editor Chris Graham talks sports with host Jim Bresnahan on WREL-1450 in Lexington. 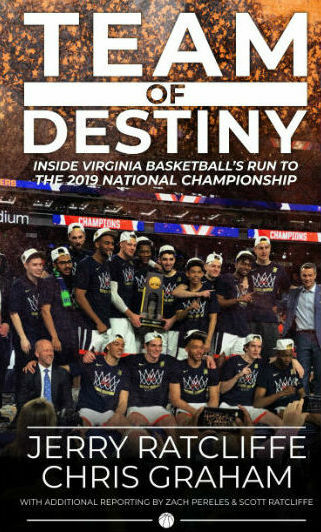 The segment looks at the first round of the 2015 NBA Playoffs, the UVA football spring game, ACC baseball, the MLB and more. The UVA baseball team fell 8-6 to No. 9 Miami Sunday at Davenport Field as the Hurricanes (30-11, 15-6 ACC) salvaged the final game of the series. Virginia (24-15, 9-12) took two of three games in the series as it won its sixth straight series against Miami. The UVA baseball team rallied for four runs in the eighth inning to down No. 9 Miami, 5-2, Saturday afternoon in front of 4,228 spectators at Davenport Field. The Cavaliers (24-14, 9-11 ACC) have captured the first two games with the Hurricanes (29-11, 14-6) to clinch the series win and go for the series sweep at 10 a.m. Sunday. The UVA baseball team picked up a 5-4 win over No. 9 Miami Friday evening in front of 3,589 fans at Davenport Field. In snapping a nine-game Miami win streak, the Cavaliers (23-14, 8-11 ACC) got clutch, two-out hitting while the bullpen worked six innings after starting pitcher Nathan Kirby (Jr., Midlothian, Va.) exited after just three innings with a strained left lat muscle. The No. 12 Virginia baseball team fell 11-4 to No. 7 Louisville Sunday afternoon at Davenport Field. Zach Lucas’s solo home run in the seventh inning broke a 4-4 deadlock as the Cardinals (24-7, 13-1 ACC) clinched the series win. The No. 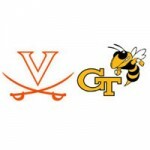 12 Virginia baseball team takes on No. 7 Louisville Saturday through Monday in a three-game ACC series at Davenport Field. It marks the first-ever games between the programs. The series consists of games at 4 p.m. Saturday, 1 p.m. Sunday and 7 p.m. Monday.